New items coming soon ! 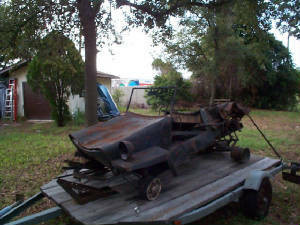 Providing King Midget cars, parts and proper technical advice for 27 years ! Longer than the original Midget Motors was in business ! 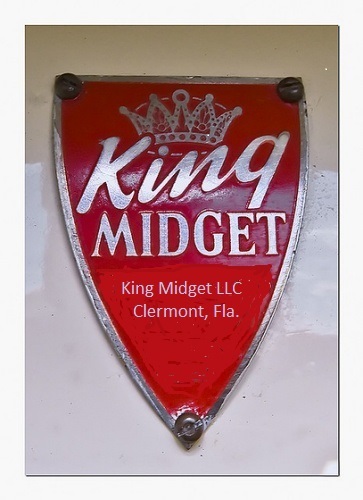 King Midget is a Registered Trademark. I have had to raise prices on anything made of steel or aluminum due to the new trade tariffs. Sorry, the price has just gone up too much for me to absorb. I offer King Midget Series II & III original style metal body panels in 20 gauge steel, as well as top bows, and complete fiberglass bodies for Series II's. ALL OEM parts manufactured or remanufactured here! Front suspension rebuilds, new lower struts. frame rails, wheel rebuilding. All work done to order, as well as custom panels and modifications. There is NO reason to go anywhere else! If I don't have it, I can get it! 27 years of King Midget experience. I have bought and sold more King Midgets than ANYONE !! When you call KMW, you get ME ! You get my knowledge, experience, and technical advice first hand. I know the difference between early and late dust caps and which is the proper nut for a series 2 steering wheel according to year !!! The kind of detail that's important to YOU !!! !